Fields of interest: Inter and intra-regional comparison of migration governance. 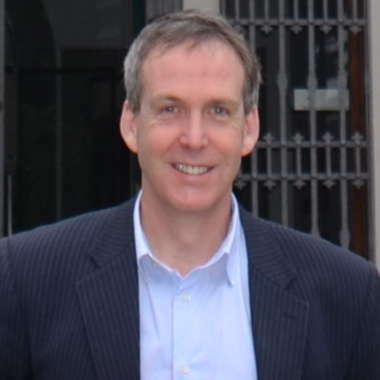 Andrew Geddes is Director of the Migration Policy Centre and holds the Chair in Migration Studies. Prior to joining EUI he was a Professor of Politics at the University of Sheffield, UK. For the period 2014-19 he has been awarded an Advanced Investigator Grant by the European Research Council for a project on the drivers of global migration governance (see www.migrationgovernance.org) for further details. Recent publications include The Politics of Migration and Immigration in Europe (London: Sage, co-authored with Peter Scholten); In the shadow of fortress Europe? Impacts of European migration governance on Slovenia, Croatia and Macedonia, Journal of Ethnic and Migration Studies (2015 co-authored with Andrew Taylor); Those Who Knock on Europe’s Door Must Repent? Bilateral Border Disputes and EU Enlargement, Political Studies (2015 with Andrew Taylor); The EU and South East Europe: The Dynamics of Europeanisation and Multi-Level Governance (Routledge, with Andrew Taylor and Charles Lees). A full list of his publications can be found here. His current research focuses on inter and intra-regional comparison of migration governance with a focus on Asia-Pacific, Europe, North America and South America. Research topics: Inter and intra-regional comparison of migration governance. Geographic areas: Asia-Pacific, Europe, North America and South America.